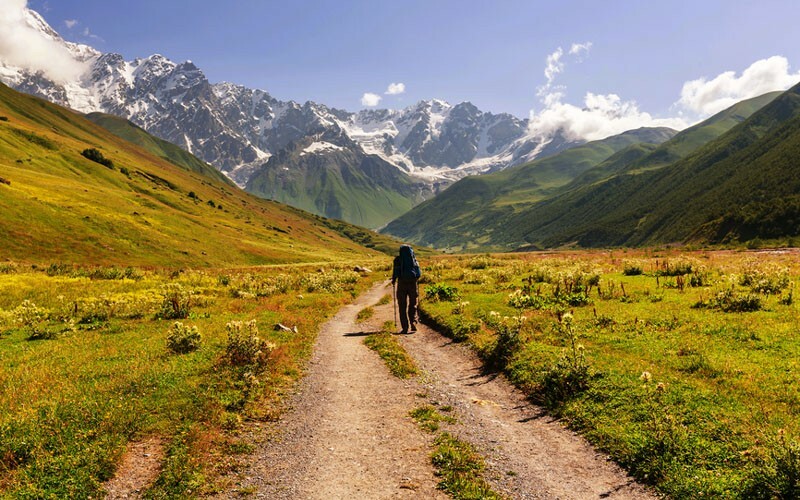 If you’re planning on going on a long hike in the future (whether as part of a charity challenge or for your own personal edification) but have little to no experience walking, then you may be wondering exactly where to start – and what you need to do to progress as quickly as possible. Walking is a fantastic way to keep oneself fit and active – it requires no expensive equipment (at least, to begin with), and almost anyone can get started with it right away. For those looking for a low-intensity way to get into the routine of physical activity, then, there are few more suitable candidates. But walking, like any form of physical activity, requires practice. A person who spends every weekend clambering up and down enormous slopes is going to be far better at walking than someone who barely manages to move from their sofa (or office chair). How, then, can the latter sort of person become more like the former, and be better able to conquer that long charity walk? Let’s see if we can offer some tips. As with any sort of skill, the best way to progress is through incremental improvement – with each practice session pushing slightly harder than the last. Try to push too hard too quickly, and you’ll almost certainly become discouraged – but if you set yourself realistic goals, and identify the checkpoints you’ll need to meet in order to achieve those goals, then you’ll be able to have a constant idea of where you are, and where you need to be. Try to begin by getting an idea of your starting level. Even if your first walk is just a ten minute trip around the block, this might be all that’s required to get you going. Try to make the same trip again the following day, but do it in slightly less time. As you go on, you can add more distance to your walk – until you’re eventually hiking over mountaintops. For the first few weeks and months of walking, you might be surprised at how quickly you progress. If you’ve been keeping a log of your walks, whether by pen-and-paper or through more sophisticated technological means, then you’ll be able to look back and see just how well you’ve doing. At some point or other, however, you’ll almost certainly come to a plateau – the point at which you can’t seem to walk any further or faster. When this point arrives, it can be disheartening – after all, progress is rewarding, and stagnation is depressing. In order to keep progressing, you’ll need to work out exactly what it is that’s holding you back, and work relentlessly on the weak spot. If you find that you’re out of breath every time you have to ascend a steep hill, then opt for hillier routes. If you find that you struggle whenever your walks get too long, then aim to make them even longer. When bodybuilders reach a point where they stop gaining mass, they deal with the problem by changing their stimulus – lifting weights in different ways, changing the number of repetitions, and so on. The same principle holds true for other forms of exercise – if your body becomes comfortable with a certain sort of movement, then it’s unlikely to develop further. In order to keep going further then, you’ll need to try something new: mix in a few jogging or bike-riding sessions into your weekly routine, and you’ll start to experience the challenge you need to push past your plateau. Going for a long walk on your own is a great way to quietly reflect on things while simultaneously getting some much-needed exercise. But walking with a partner offers an opportunity to stay motivated, and to keep pushing toward your goal. If you’ve arranged to go for a hike every week with a friend, then you’ll both feel obliged to stick to your promise. And what’s more, the healthy competition between you will provide all the incentive that’s required to push you on toward your goal. As we’ve mentioned, part of the joy of walking is that it doesn’t require any special equipment to get started with. But once you reach a certain level, then a little bit of investment will certainly make the experience far more comfortable. For new walkers, a pair of substantial walking boots are a must – they’ll absorb all of the bumps in the road, and ensure that your feet don’t become blistered and sore.